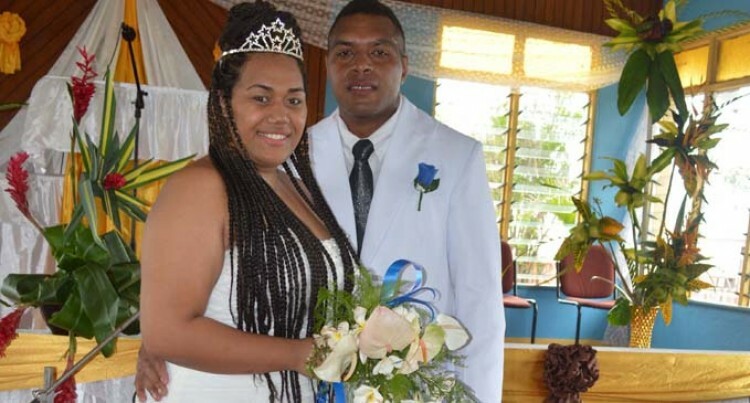 Maikeli Mudu married Tavaita Ruth Bulai in Korovuto Village, Nadi, on Thursday. Mudu, a former Fijian Warrior, is a flanker for the Mid Canterbury rugby team in New Zealand while Bulai, who is based in the United States, has set Fiji’s national record in hammer throw. “I am glad I am married. I know I’ve a lot of responsibilities,” he said. Bulai, originally from Nadoria, Rewa, was also glad of her big day. “I feel like I am the queen of this world. Finally I can have him for the rest of my life and I feel really blessed,” she said. “We met on Facebook and we started chatting. After a few months we realised that we were made for each other. He then approached my father who gave his approval,” she said. Bulai, graduated from St. Joseph’s Secondary Academy in Texas where she participated in volleyball and rugby. Bulai began hammer throwing when she enrolled at San Jose City College. In her first year, she posted a No.3 all-time mark for SJCC with an impressive 40.72m (130’ 7”) throw. That is farther than the Fijian national record (39.74m).